It has been a full week and we are back from going to the castle today. These have been rich times where your children have been true to themselves and a delight as they further understand what it means to labor for the Kingdom. It has been a true blessing to have your children here this week. This is such an amazing group of students who has put forth everything they have each day to serve Christ. Thank you for your prayers and we close out our time with this scripture that defines our journey this week. Day 5 and 6 of EW Dominican: On Day 5, Wednesday, we had our last full work day at Doulos. We completed painting the exterior of their newest building that faces the street, laying concrete for the floor of their much used ampitheatre and sanded the swing sets on the playground for new painting. That night, we ate out at a local pizza restaurant (a real treat), and our students saw TV for the first time all week. 🙂 Then we headed back to Doulos in the evening for dancing lessons with the local high school students. Many of them served as our translators the previous night with our host dinners, so our students were already familiar with them. They taught us salsa, merengue, and bachata dances, and then we returned the favor and taught them footloose. On Day 6, Thursday, we had time together for just our team with white-water rafting in the hills and souvenir shopping in our neighborhood. Then for our last devotion, we talked about things we could “fast” from to spend more time with God. After going through the highs and lows of our trip, we discussed what we learned, what we would take home, and how we might grow from our time in the Dominican. We ended with some quiet time outside singing Reckless Love and pondering God’s sacrifices and unending love for us. Insight from Brooks Cartwright, senior and second time in the DR: On our last day in Jarabacoa, we got a little bit more sleep which would prove to be much needed for our long day on the water. We took two large open air buses to the river after we picked up our paddles, life vests, and helmets. Then we broke up into groups of 4-5 and began navigating through a labyrinth of whitewater rapids that got the best of some of us and left a few of us overboard. After tending to sunburns and eating a delicious combination of Dominican staples (rice, chicken, beef) we headed home to change before hitting the town for some souvenir shopping. There was a plethora of walk-in shops in the town and we had plenty of opportunities to treat the adults back home that made the trip possible. Throughout the day we were able to get close as a group through the team building activities of working together with our raft-mates and sifting through the seemingly endless Dominican trinkets and apparel in the local shops. My senior year has been good and Eagle Week was good. Insight from Chuks Uzoka, senior and second time in the DR: As we walked out to the backyard of our lofty Dominican abode—pens and journals in hand—us students wondered what we were about to get ourselves into. All we were told was that we’d be ending our devotional outside, but that didn’t explain the foil pan, fire matches, or the jug of water that Senor Roman was carrying under his arms. First, we each were given a sliver of an index card and told to write down a few sins that we felt were pressing on our hearts or minds at the moment. Immediately, all the items that Senor brought made perfect sense to me and I knew what was about to take place because I had done something similar to this only a few months beforehand. After we all had finished confessing our deepest, darkest secrets onto a tiny slip of paper, we cast them one-by-one into the foil pan and watched as Senor struck a few matches and held them to the cards. He knelt by the ever-growing flame that blazed in the midst of our group for a couple of solemn minutes then subsequently said a prayer that served as the perfect conclusion to such a moving devotional. I personally felt the impact of that ceremony right then and there, and also really admired the symbolism within it, as I recognized that the fire consumed our sins just as Christ purged us of our sins when he gave His life for us on the cross. It really made my night and was an uplifting reminder of the gift that Jesus lent to us and of His forgiving nature. As for my senior year, it has been extremely enjoyable and I can genuinely say that I am terribly sad to see it come to an end. 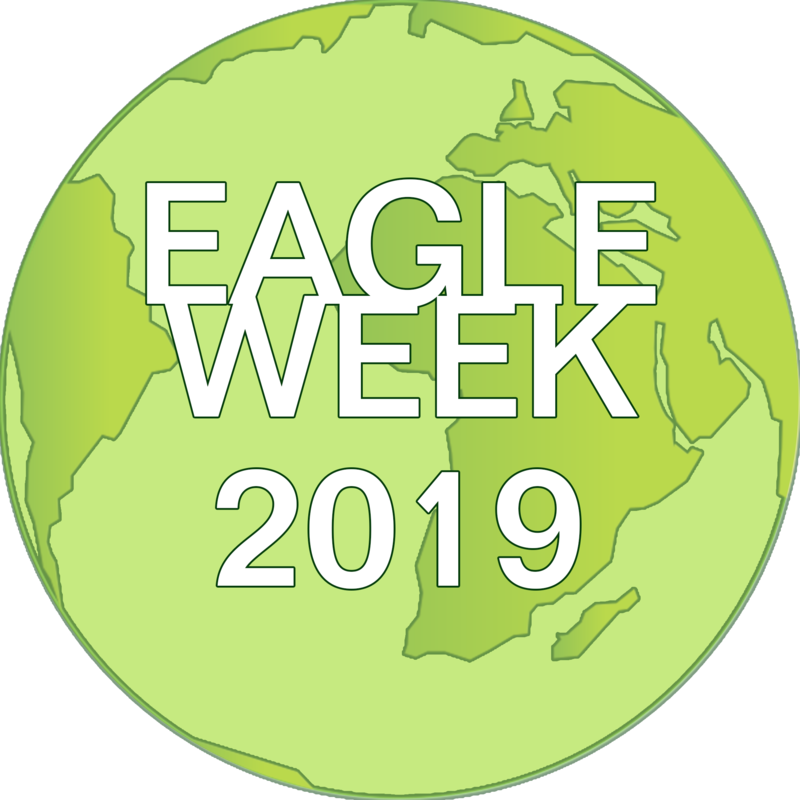 Likewise, I am also terribly sad that this was my last eagle week trip, but I’m glad I was at least able to experience it with such loving and charismatic friends and chaperones. It truly was a trip to remember forever. Burned up sins- all forgiven by Christ’s sacrifice. Ping Pong Championships- here they come! We were hungry after a long day’s work. Pizza and soft drinks were gone super fast! My Co-missionaries and I woke up, ate breakfast, and headed to our last trip to the school where we have been serving this week. As we passed our favorite bakery, I could already feel the urge to get emotional before we pulled up to the school. We got off the bus and headed to the school’s chapel where they sang their school song for us and thanked us for our work. We stayed hugging kids for about 30 minutes and then proceeded to hand out school supplies to the teachers. Many kids came to us with pencils and paper wanting us to put our social medias and phone numbers on them. Many of us have already gotten snapchats and texts from the kids already. Before I left one child asked if I could give him a necklace next year. Little did he know I had found a necklace in my backpack that I had lost 2 years ago with scripture on it. I immediately took it off my neck and put it around his. He had been one of my favorite kids throughout the whole week and really admired me. I looked up from him for a second and when I looked back, he had tears in his eyes and gave me the longest hug I had ever shared with anyone. I’ll never forget that moment from this trip, and it really impacted me as a person. I’m so glad I chose to be on this trip and can’t wait for next year’s. On Friday, 19 of us went to My Brothers Keeper Pantry on Bissonnet Street in Southwest Houston. We helped unload and stock a lot of food! There was a lot of creative teamwork and we were blessed by the presence of Chaplain Pogue. We then had pizza for lunch before returning.